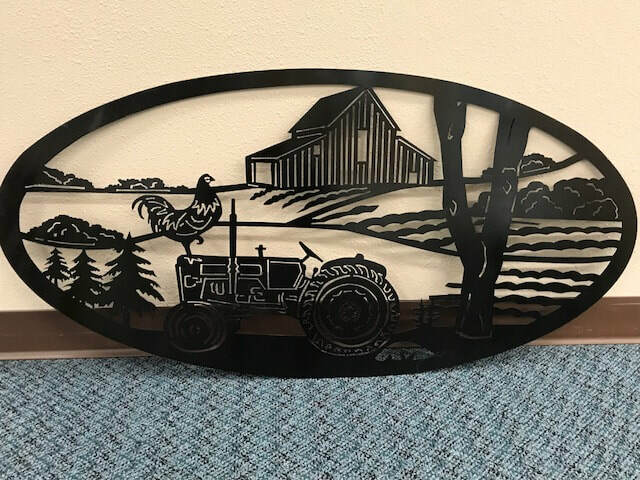 The Pierce County Soil Conservation District would like to recognize David and Becky Kraft, and their children Lau-ren, Collin, Mariann and Alex for their outstanding conservation efforts and accomplishments. 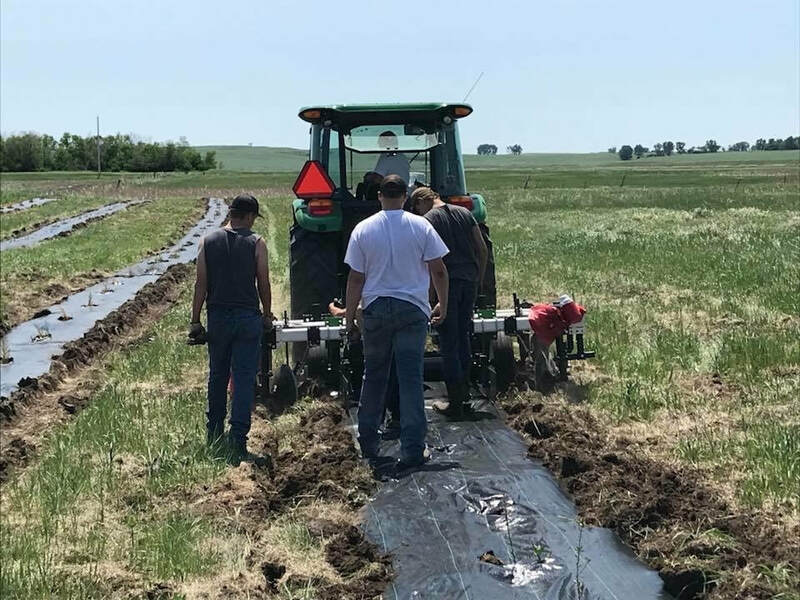 Their farm and ranch is located in the Northern part of Pierce County, where they have and are currently using the NRCS EQIP, USFWS Partners for Wildlife and CSP programs to better enhance their cropland and rangeland. The Pierce County Soil Conservation District would like to congratulate the Kraft’s for their great work! Tree Order Time! 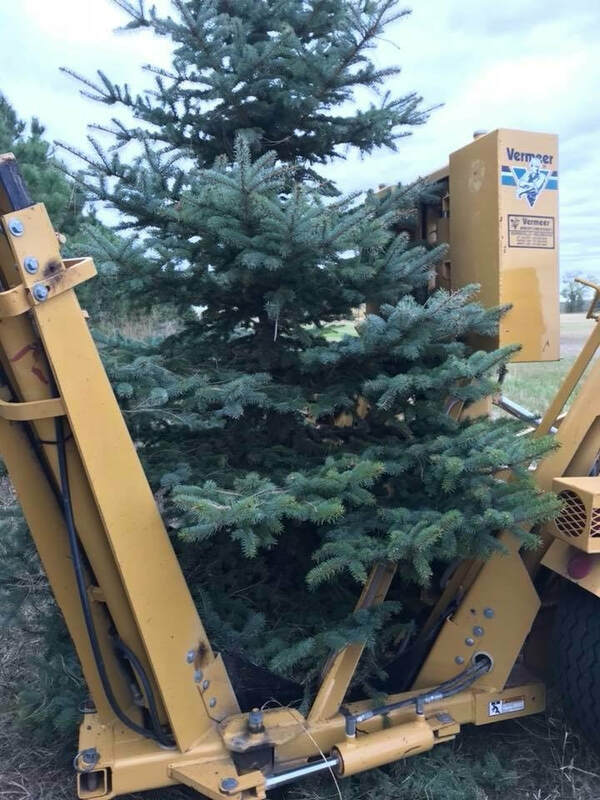 It's time to order the trees that you need or want for spring 2019. 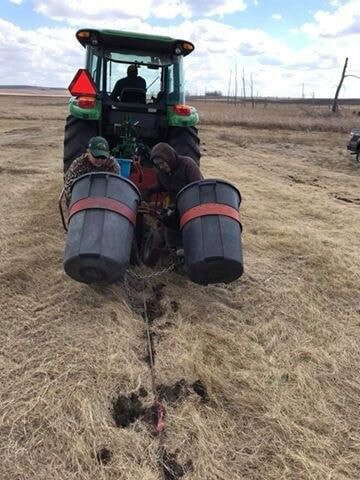 You know the old saying, "the best time to plant a tree was yesterday". The advantage for pre-ordering is that you will have a better chance of getting the trees you want and the amount you request. 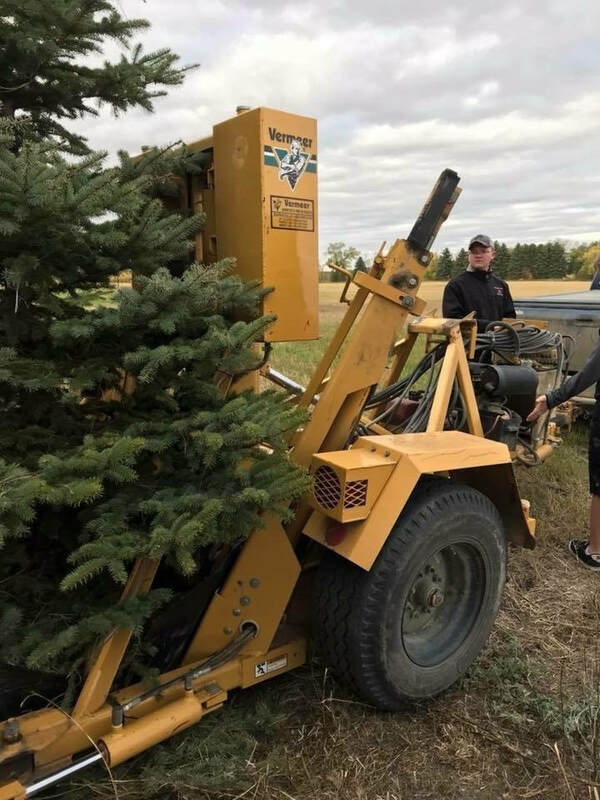 To order trees you can call us or just stop in. We have order forms at the front desk. Or go click here for an order form. If you do not know what trees you want to order, check out Lincoln Oaks Nursery. This site lists tree names that are available. If you click on one of the names, information about the tree and pictures will come up. If you have questions or problems, you can call us at 701-776-2207 ext 3. 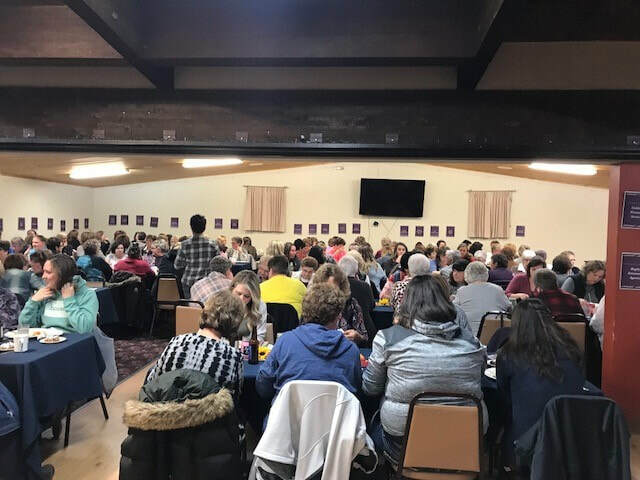 Pre-order deadline is January 5, 2019! 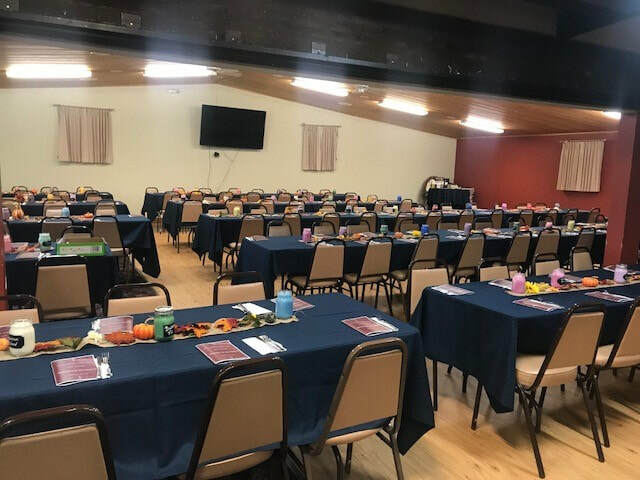 The Pierce County Soil Conservation and the Pierce County NRCS office participated in teaching an Ag Day Session during the Pioneer Village and Museum week long Day Camp Sessions. 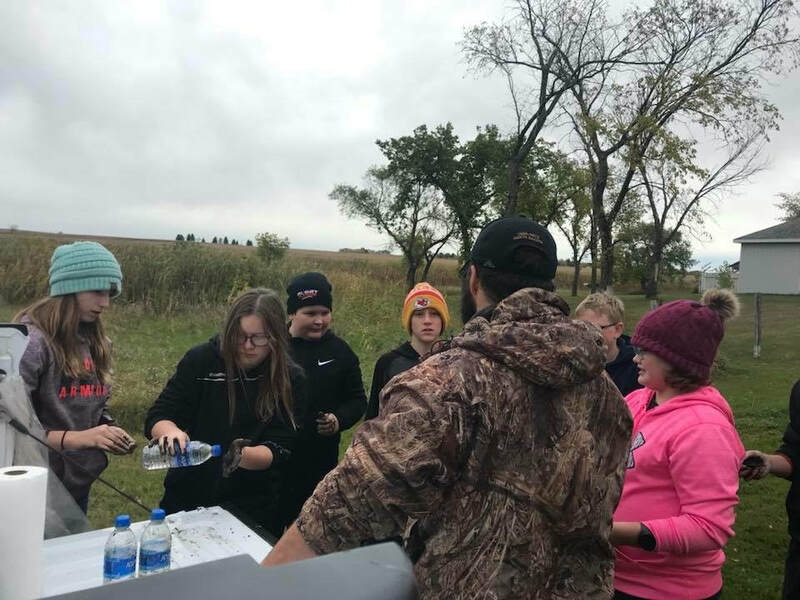 We took the kids out into the area right behind the museum to demonstrate to the kids the varying ecosystems, what lives in each ecosystem and their importance. 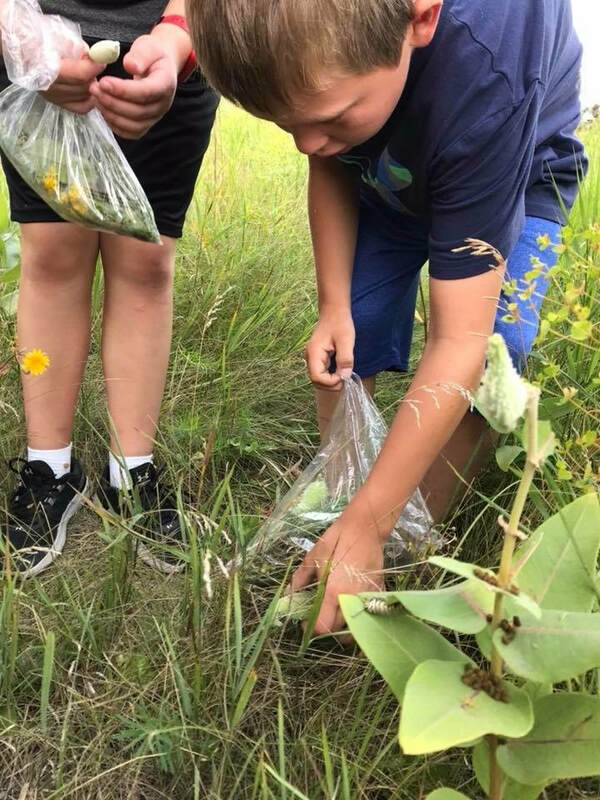 The participants were then sent on a scavenger hunt to see what they could find. 7th grade students heard from several speakers at this year's Eco-Ed Day. Glenda Fauske of the North Dakota Forest Service talked about the forestry ecosystem. Glenda covers a wide variety of topics from identifi-cation, growth, and importance of this ecosystem. 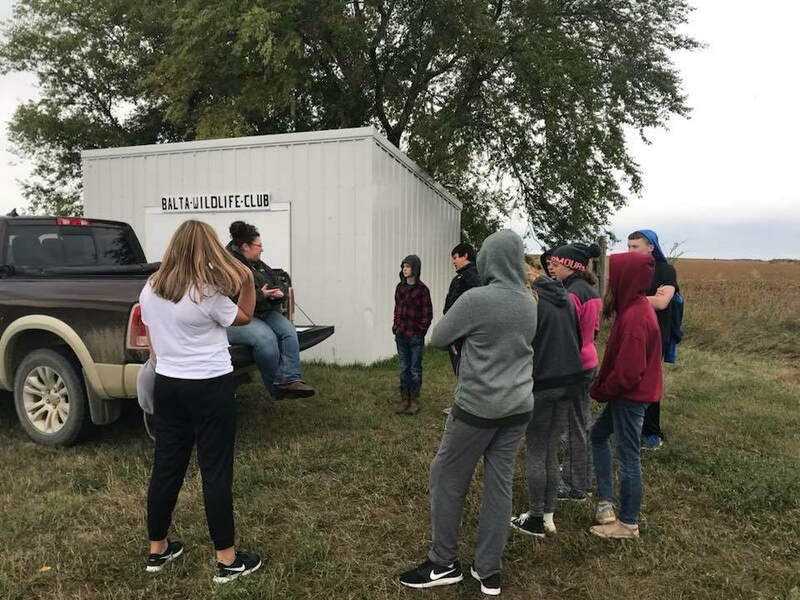 Yolanda Schmidt of the NDSU Pierce County Extension Service demonstrated to the 7th grade students about range and grasslands. 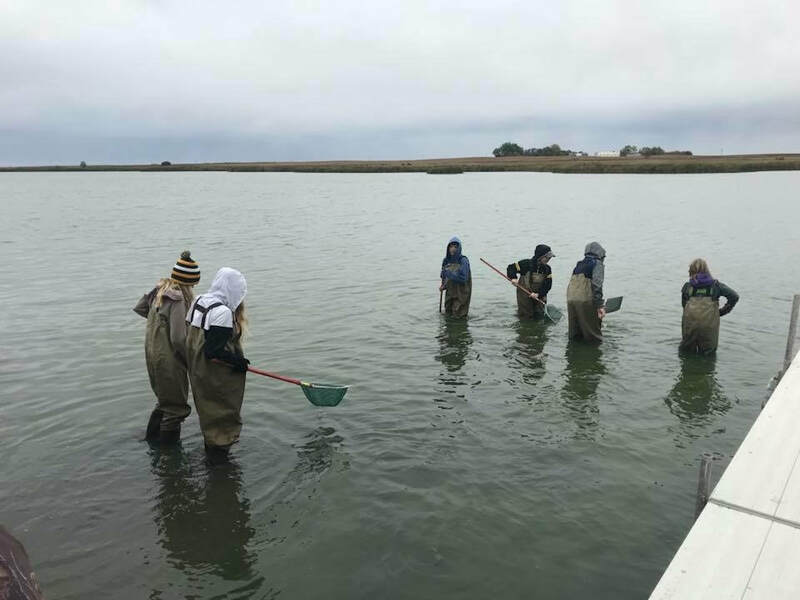 Larry Brooks of Dakota College in Bottineau dressed the kids up in chest waders and sent them into the water with nets to retrieve living organisms in the water. Larry and his Biology class then demonstrated to the 7th grade students what each living organism means. 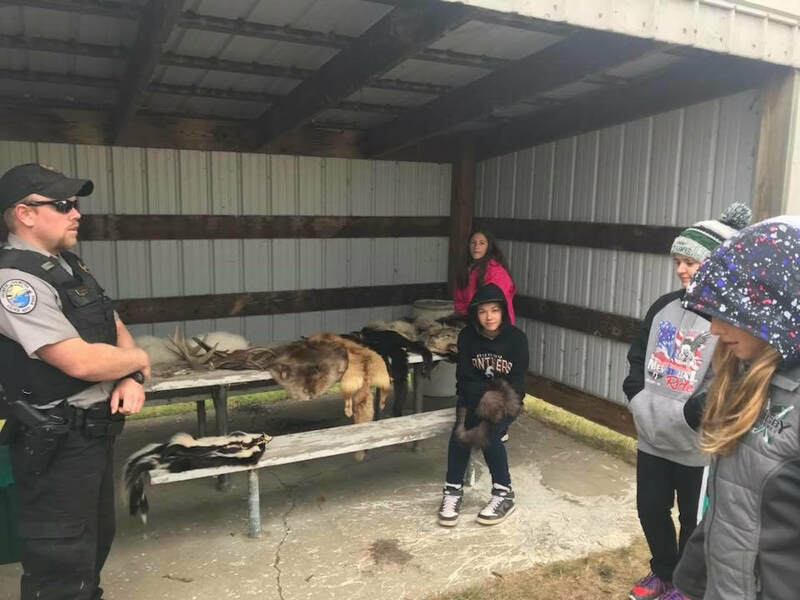 Drew Johnson of the North Dakota Game and Fish Department brought examples of North Dakota Wildlife and some exotic wildlife from other areas for the students to have a hands on look at the wildlife that surrounds us and animals that are rare and how our interaction with each of these animals affects them and their habitats. 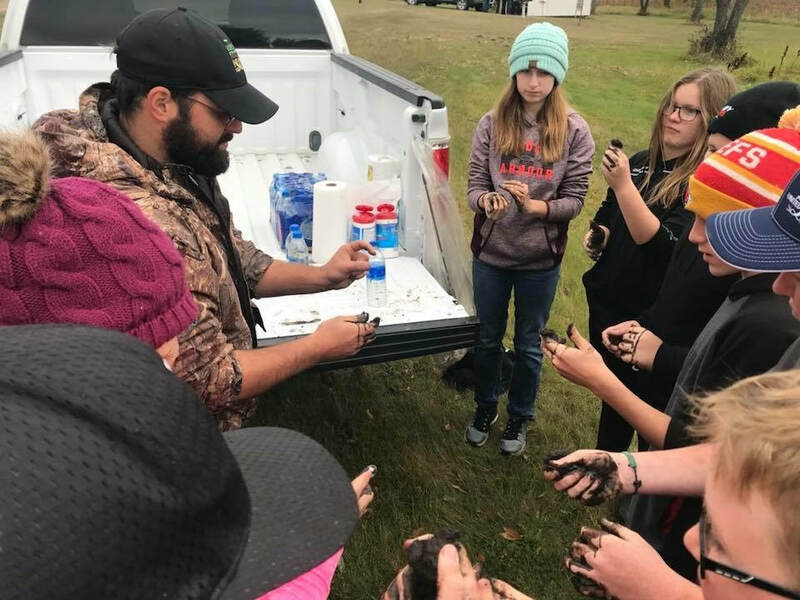 Kraig Motzko, NRCS soil Conservationist for Pierce County kept the kids in the dirt demonstrating the different soil types, their locations in the soil plane and how this affects everything that grows. 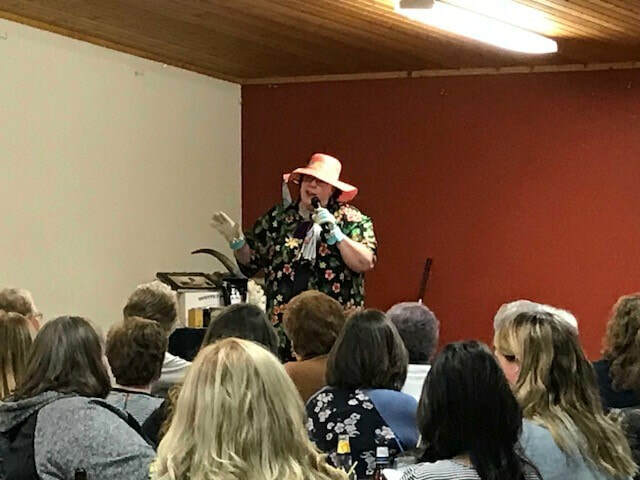 The Pierce County Soil Conservation District ‘s Women's Ag Night went off with a bang on November 9th with over 220 of the counties women enjoying laughs, prizes, auction items and gifts sponsored by area businesses and great food by Grove Catering at the Rugby Eagles. Diane Eslinger also known as “The Idiot on The Prairie” was outstanding and left us I'm sure feeling the pain from all the laughing the next day. Diane is from the Garrison area and actually worked at the Eagles while she was completing her nurses training in Rugby.The Raffle that raffled off a metal art sign made by the Rugby FFA and a gift certificate package donated by various businesses for “Nights Out on the Town” brought in $250 in donations to the Dockter and Jundt families. 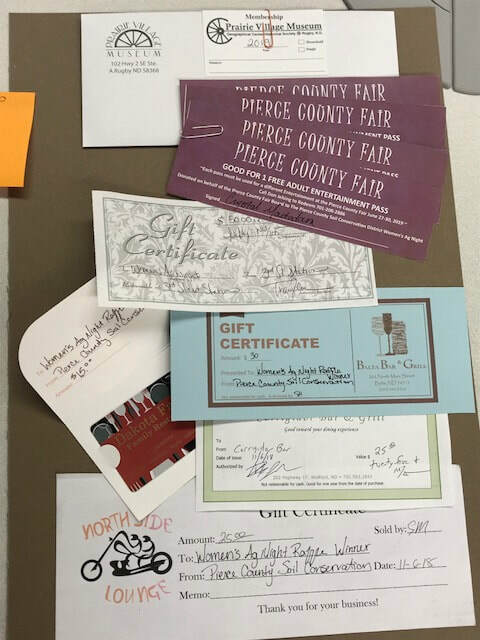 The Pierce County Soil Conservation would like to thank ALL our sponsors, women that attended, entertainment, catering and those than contributed in any way to the success of this event! January: Planning the years tree plantings under EQIP and OHF funding opportunities. EQIP applications were ranked in December and in January we began to receive those that had preliminary approval. 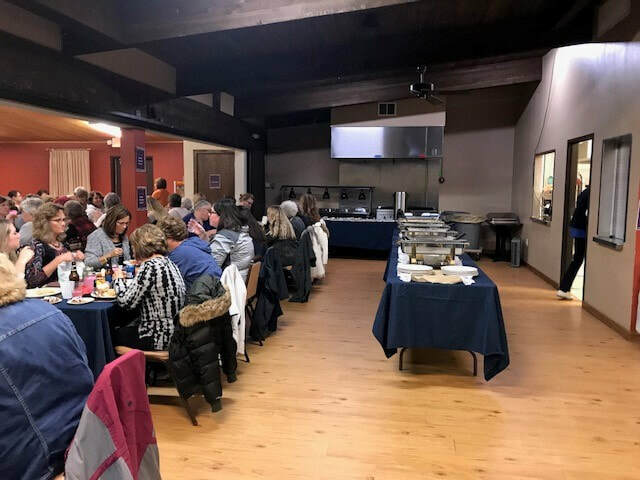 February: In February we held our local awards banquet at Dakota Farms in Rugby where we honored the Pierce County Conservation award winner the Delanis Vetter family and our Tree Maintenance award winner Chad Duchscherer family. 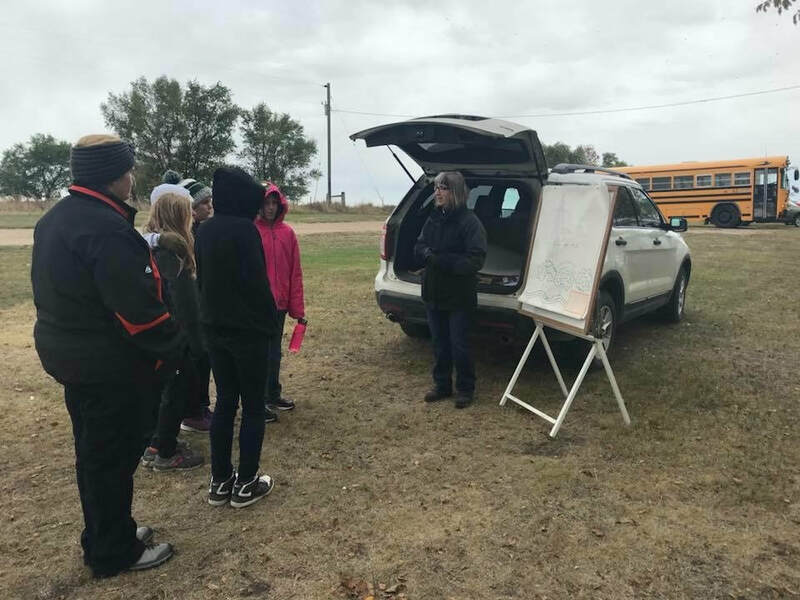 Casey Johnson, a representative of the North Dakota Forest Service gave a presentation on the Denbigh State Forest just west of Towner. Final approval of our EQIP and OHF funding requests were approved and plans were finalized for the coming planting season. March: Tree plans finalized, has some extra self-pay plantings requested. Began working on those and finalizing. 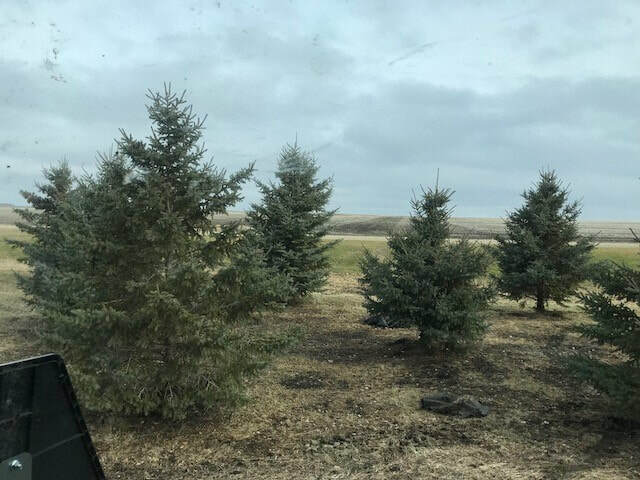 April: April was the month for staking out tree plans and visiting with clients about their upcoming planting. 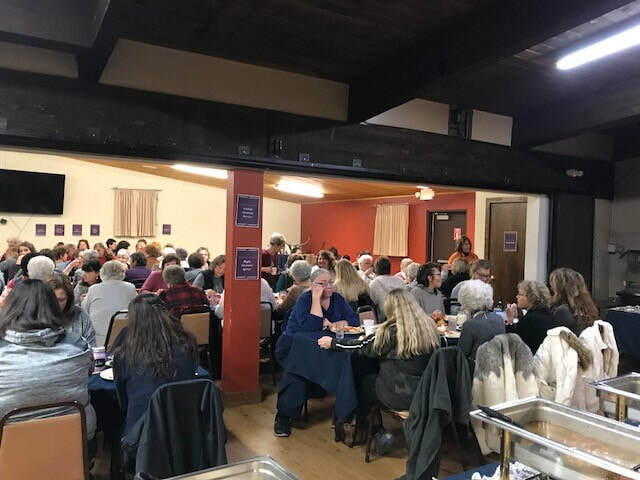 I gave a presentation at Yolanda Schmidts, Pierce County Extension Agents Tree Workshop about tree planting, care and fabric maintenance. May: Planting of tree plans began May 1st. As of May 1st we only had 2 nurseries in the cooler, with our largest order being yet to come in on the 5th. 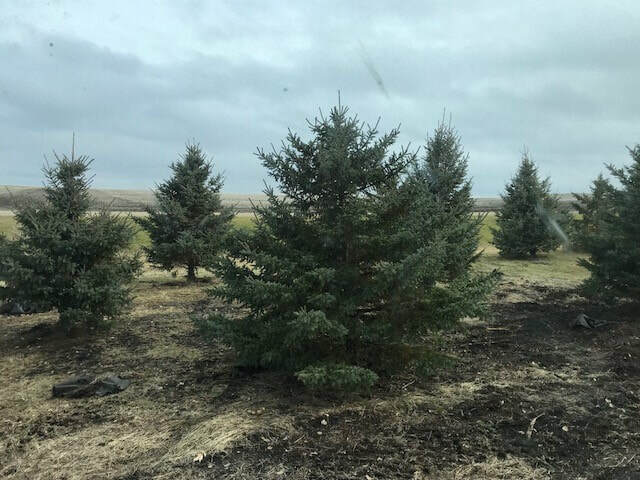 We began planting conifers in our bigger tree plans to be able to not hinder the over 130,000 feet we had planned and still be able to work. 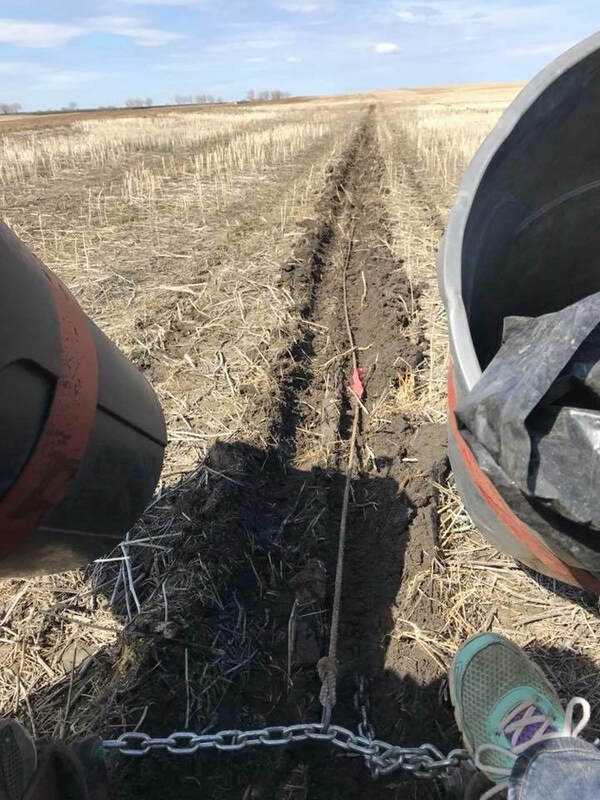 We finished planting on May 30th. We held multiple tree shed sales for extra trees throughout May with the first sale being on Mother’s Day. 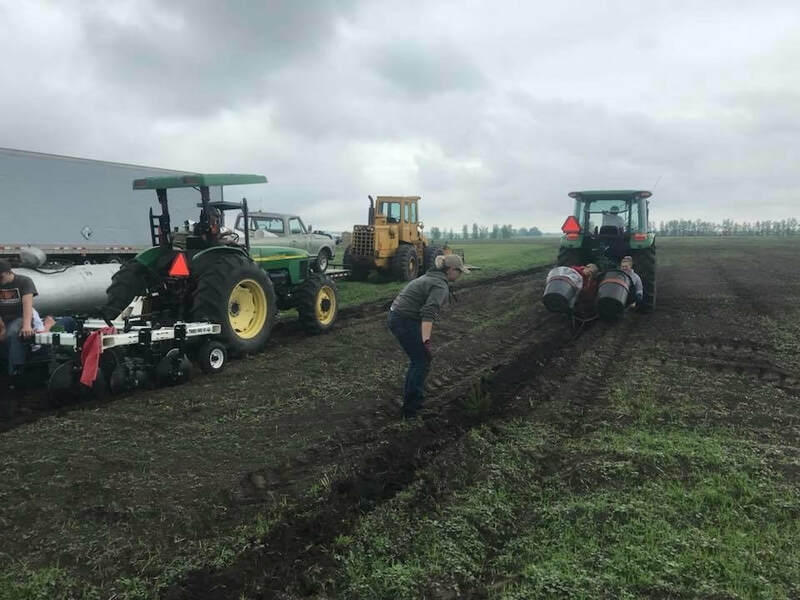 May was an excellent month to plant with very few rain delays and the rain we did get was not enough to stop our planting progress. With the dry conditions, moisture was desperately needed for the plans. June: After planting we rolled from the first planting back through the list to the last planting with weed barrier. 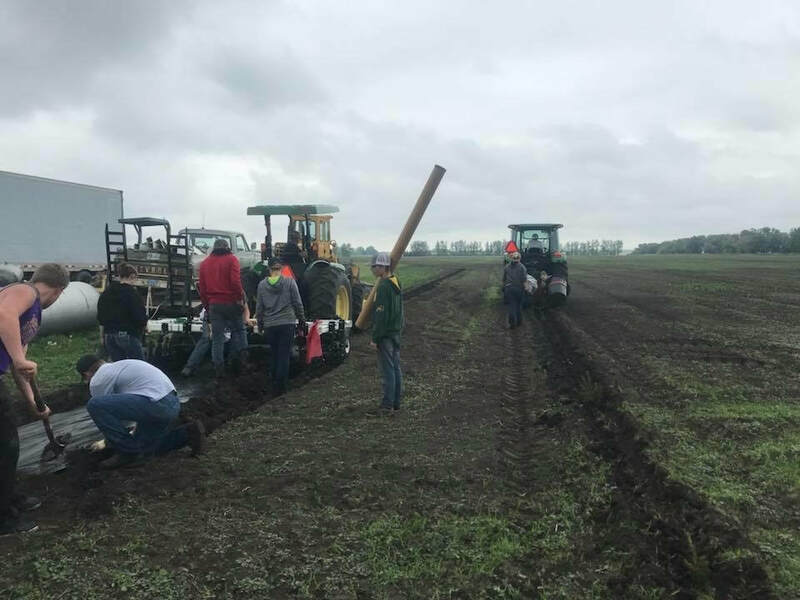 A hint for future plantings, first ready to plant is the first ready to get weed barrier and so forth down the line. We held multiple tree shed sales for extra trees throughout June also. Towards the end of June I began measuring the plantings that we had finished with both planting trees and weed barrier. July: We finished laying weed barrier on July 12th. 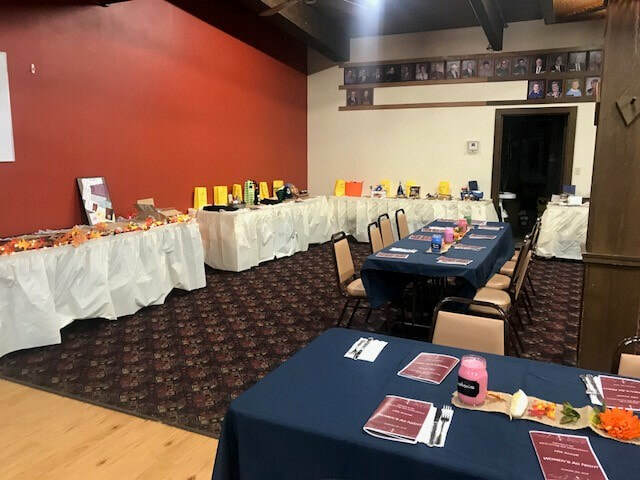 Through this month also I along with a few crew members were finishing up measuring plans so I could begin the reimbursement processes of the funding sources most of our plans were through. We finished the year with a total of 149,045 linear feet of planting or 28.23 miles of newly planted trees in Pierce County. 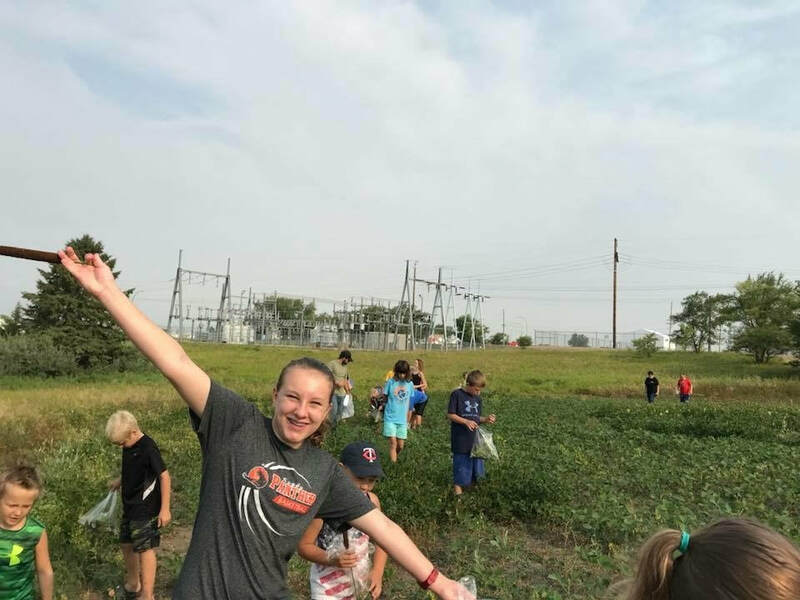 August: In August Soil Conservationist Kraig Motzko and I helped one day with the agricultural portion of the Prairie Village Museum Day Camps. 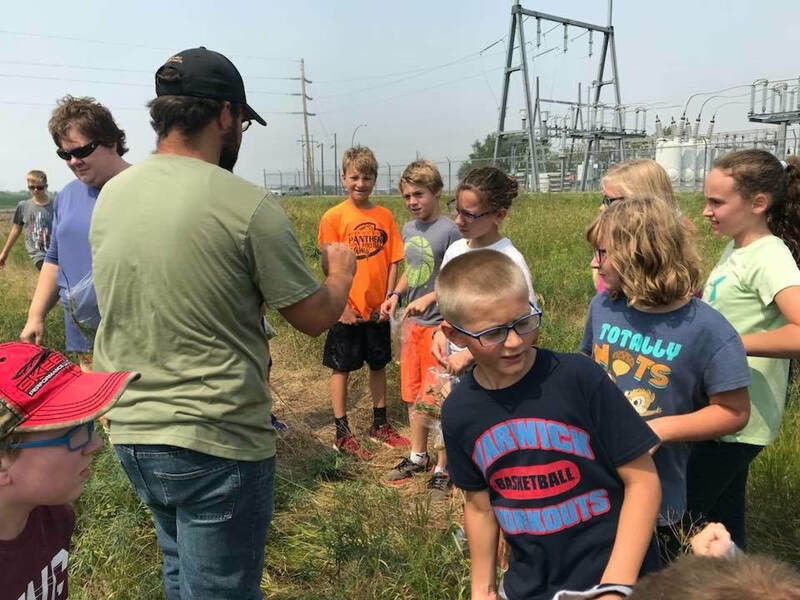 We took the participants on a scavenger hunt just behind the museum to show them the different areas of habitat right in our backyard. August also consisted of sampling and monitoring cover crops in a project running through the RC&D Council. Beginning to plan to move trees was also starting to take place at the end of August. September: September continued the cover crop testing and tree moving began. We had requests for 120 plus trees that we can hopefully finish this spring. September we also began to start looking at the funding requests we had for tree planting in 2019. 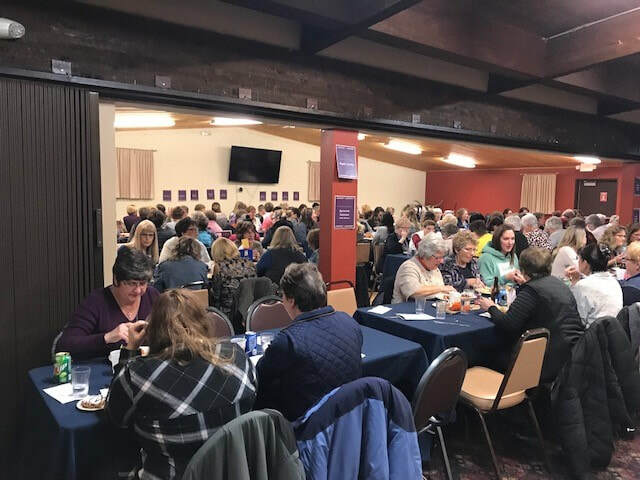 Women's Ag Night 2018 planning was begging to wrap up the big details with smaller details being ironed out. 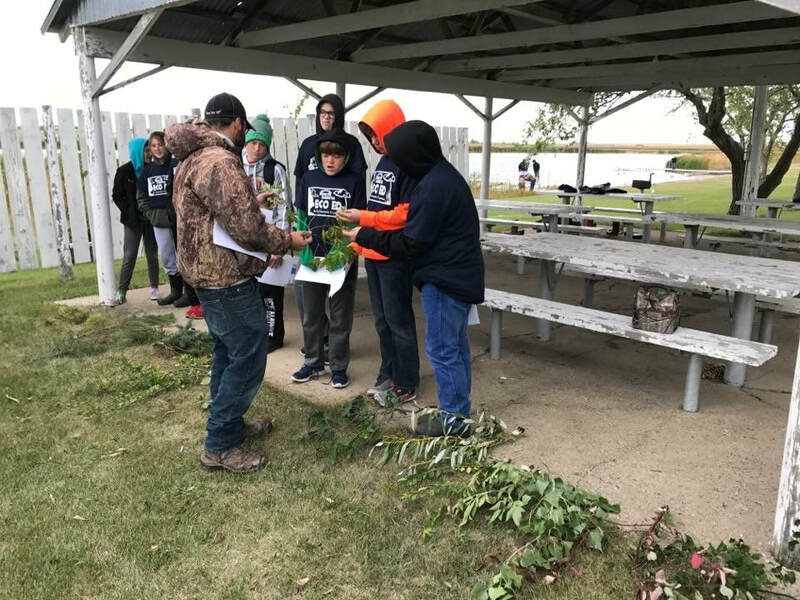 Our annual Eco Ed program also took place on September 23rd at the Balta Dam with Kraig Motzko, Pierce County NRCS Soil Conservationist, Yolanda Schmidt, Pierce County NDSU Extension Agent, Drew Johnson, NDG&F Game Warden, Larry Brooks of Bottineau State College, and Glenda Fauske of the North Dakota Forest Service Contributing to help educate the Rugby 7th grade students about the different Ecosystems and the conservation and importance of them. October: Continued moving trees. 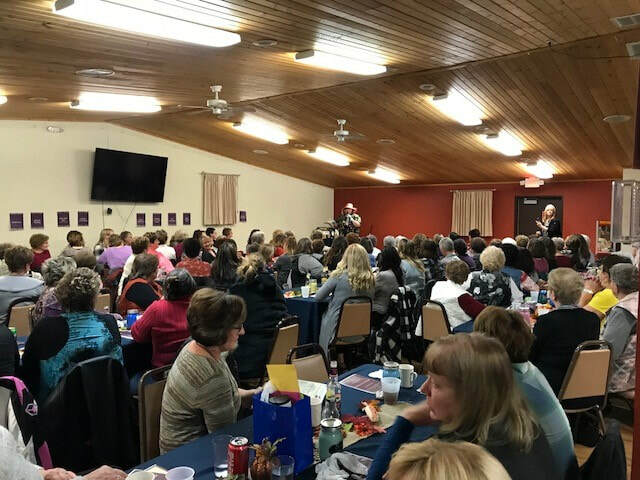 Soliciting for sponsors for Women's Ag Night. Checked out EQIP Working Wetland fields for compliance. November: Snow stopped our tree moving at the beginning of November. 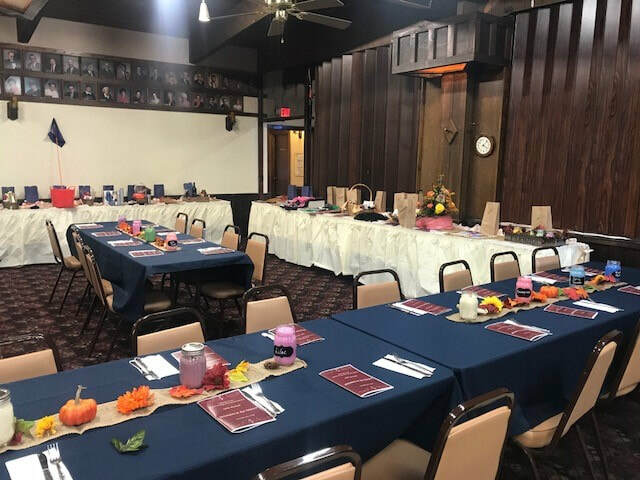 Women's Ag night details wrapping up for Women's Ag Night on November 9th. 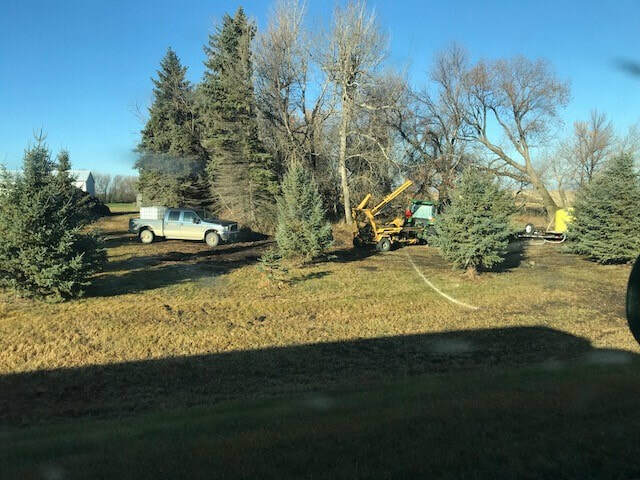 EQIP tree planting applications were due November 30th, much of the months of October and November finalizing trees and area of plantings for ranking and initial approval.